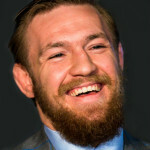 Conor McGregor is an Irish mixed martial artist, born in 1988. He has primarily competed in the featherweight division of the Ultimate Fighting Championship (UFC). The speed here is in the higher end…When speeding goes wrong the consequences are catastrophic and life-changing. McGregor pleads guilty to disorderly conduct in a deal with prosecutors to avoid jail time from his assault on a bus in April 2018. McGregor had faced charges of included menacing, assault resulting in injury, reckless endangerment and criminal mischief. As part of his deal he is required to undergo anger management treatment. McGregor was also required to pay full restitution to the bus company, which he has already fulfilled. The plea will not affect his US work visa. I just want to say I’m thankful to the DA [District Attorney] and the judge for allowing me to move forward. I want to say to my friends, my family, my fans: thank you for the support. I have to ask you the question… how much to you earn? Please don’t tell me you earn more than €110 million in a day? €140 million…I got the fixed charge notice and attempted to pay it…It didn’t pay and that’s it. That’s not it…I would warn, however, despite your fortune in life, that you take cognisance of other people on the roads. McGregor is given the option to pay the fine in installments. I am very pleased with the Nevada State Athletic Commission’s handling of my next bout today. Fair play was kept all the way through. Referee – Hall of famer Robert Byrd. Judges – Burt Clements. Dave Morreti and Guido Cavalerri. 8oz gloves approved, with pre and post fight analysis of the gloves on the night. This was handled very well and very fairly by the NSAC. I am very pleased and respect the commissions ruling on this. Ten days until fight time. I just want to apologize for the incident, it was a very unusual incident that unfolded. I acted wrong and all I can say is I’m sorry. Diaz’s hearing will be heard at a later date. Ireland’s Advertising Standards Authority says complaints against a Budweiser ad featuring McGregor have been upheld. McGregor was the face of a competition which offered customers the opportunity to win €50,000 to travel to America to “fulfil their dreams”. Complainants said the ad was “irresponsible and inappropriate” because it linked a role model for children to alcohol, and that MMA was an “aggressive sport” and that linking it to an alcohol product was sending out a “dangerous message” to young children. 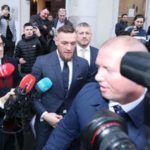 The ASAI agreed with the complaints, saying the MMA star was a hero for young people and that the advertisement “should not be used in the same format again”.